A simple and pretty animated Valentine message of "I Love You", with bouncing hearts in the background. Love me Tender music is optional. 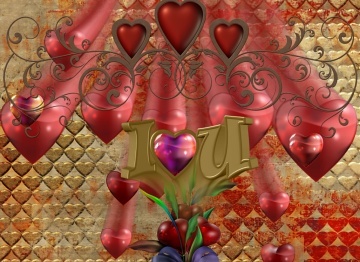 Download Valentine wallpapers. Screensaver and images copyright, ART-TLC ©. Fits all screen settings.